Taking in the majestic view of the mountains in the Bugaboo Provincial Park, Canada. 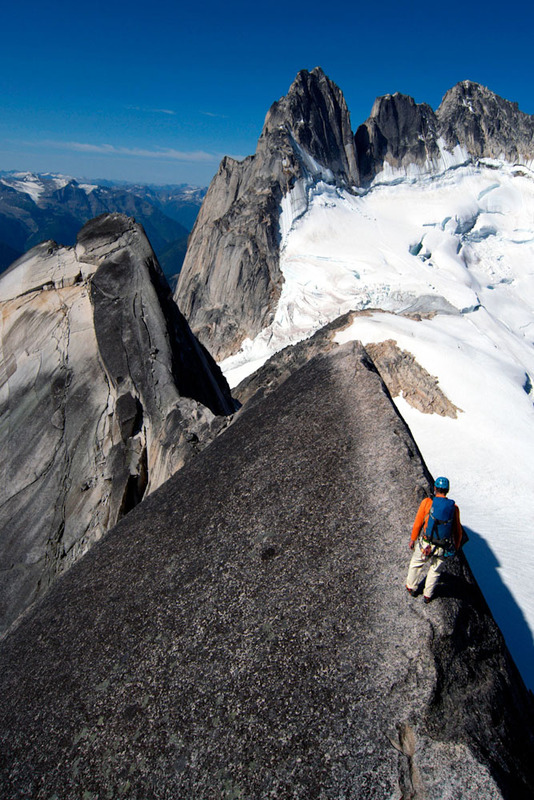 Heli-hiking gets you to some places that would be very difficult to get to, in the Bugaboos of Canada. Another extreme way to enjoy Canada is heli-skiing (photo: Canadian Tourism). 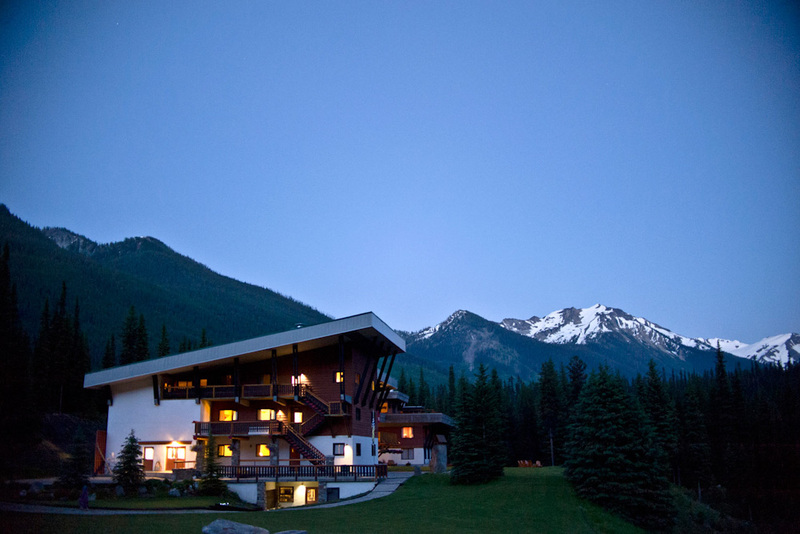 Bugaboo Lodge in the Purcell Mountains is a good place to rest your bones after a day of extreme Heli-Hiking in the Bugaboos of Canada (photo: Canadian Tourism). 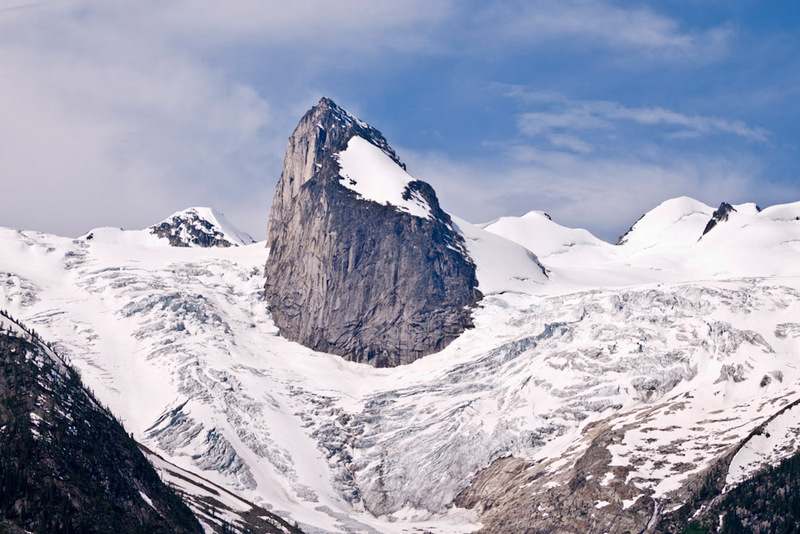 In the middle of pure wilderness, the Bugaboo Provincial Park , Canada (photo: Canadian Tourism). 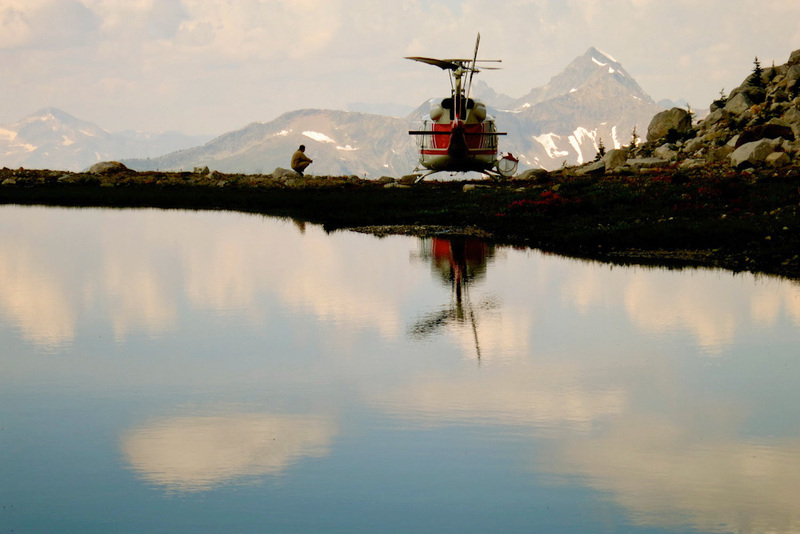 A helicopter perched on the mountains of the Bugaboos in Canada (photo: Edna Winti Flickr). Want to go heli-hiking in British Columbia? Leave the gear at home but bring your sense of adventure, writes Katrina Lobley. 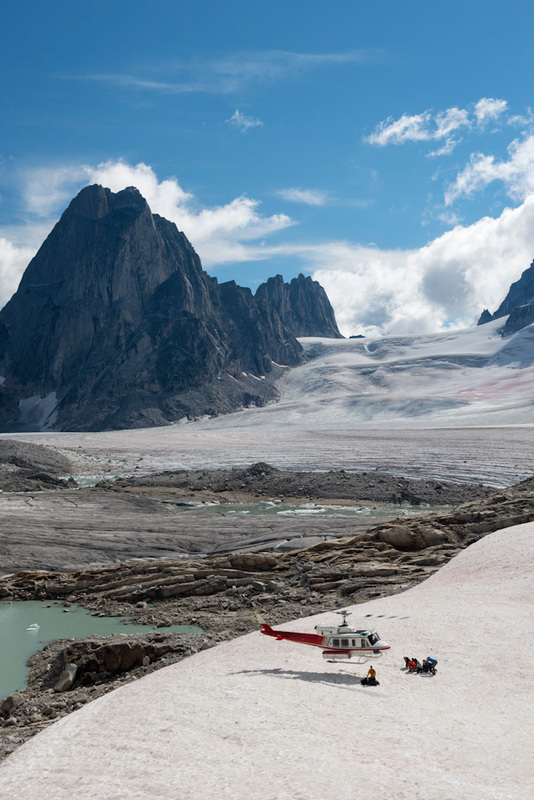 Day three of heli hiking in the Bugaboos – a mountain range of ridiculous and extreme beauty tucked into the Rockies of eastern British Columbia – is the day we pinch ourselves. Our helicopter pilot is aiming for a rocky ledge that seems wide enough only for a pair of mountain goats. As he lowers the craft towards the ground, we heli-hikers in the back give each other bug-eyed looks. He is. The pilot wiggles his craft down to land with a soft bump and we go straight into the exit routine that’s become second nature. We jump out – noting how the rocky landing pad falls away sharply to a valley far below – and huddle as we’ve never huddled before, clamping hands onto neighbouring wrists, legs and shoulders to make ourselves into one immovable mass as the helicopter lifts away to ferry other guests around this remote landscape. We wait for the downdraft, yank out our earplugs and laugh with sheer relief that we survived that hairiest of manoeuvres. Heli-hiking is full of adrenalin-pumping moments like this – but surprisingly you don’t have to be super-fit to sign up for such an extreme adventure. What the helicopter allows is a hiking trip that maximises the scenic moments. The boring bits, such as long uphill-downhill slogs, are cut out of the equation. 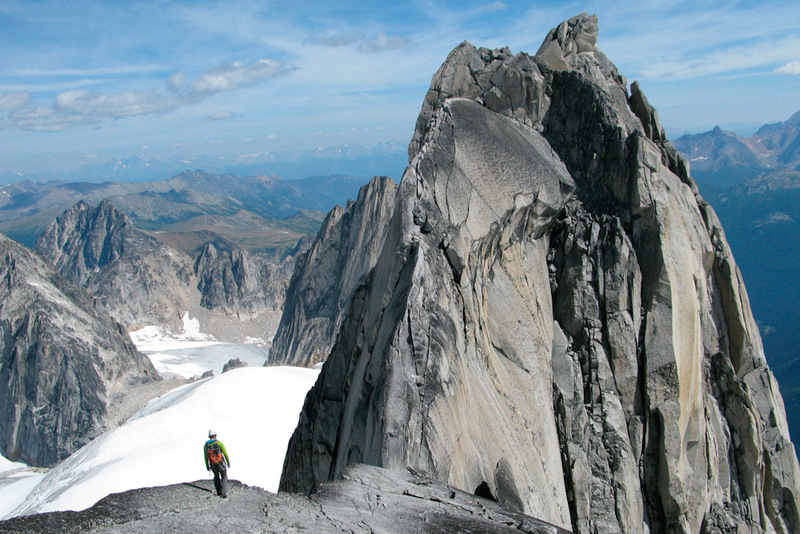 Bugaboo Provincial Park attracts not only luxury hikers such as us but hard-core climbers seeking to scale the soaring granite spires with peaks that are often wreathed in clouds. Independent hikers can explore the park too but they must be self-sufficient and hardy enough to cope with all that nature throws at them. Even parking nearby is tricky: authorities warn visitors to surround vehicles with chicken wire to stop porcupines gnawing through brake lines. The park is also famous for heli-skiing. We’re staying at Bugaboo Lodge, built on the site of a former logging camp in the 1960s to cater for the then brand-new sport. The lodge has morphed over the years – those early guests who slept in dormitory-style rooms and used communal showers and toilets wouldn’t recognise today’s version. The luxurious haven now features rooms with bathrooms, an outdoor jacuzzi, a climbing wall tucked into a stairwell and speedy wi-fi. Guests on a typical seven-day trip divide their time between Bugaboo Lodge and Bobbie Burns Lodge, located somewhere out there beyond the peaks and glaciers. On the day of the changeover, hikers can hop a lift on the chopper or walk some or all of the way. I’m staying only at Bugaboo Lodge and quickly get to know my fellow hikers, most of whom are North American. Many are repeat customers, with one guy from California even coordinating his holidays here with the roster of his favourite guide. The 40 guests are split into groups according to walking abilities and dropped (and re-dropped during the day) into the landscape to savour the best parts. We stroll through meadows studded with wildflowers, cross a stream on a horizontal ladder, pick our way up a snowpack and slide down the other side. We skirt high-altitude lakes that are every shade of blue, examine a sparkly boulder studded with aquamarine, feldspar and tourmaline, and tuck into lunches of sandwiches, fruit and chocolate next to a glittering pale-blue glacier. I enjoy life back at the lodge just as much as the stupendous scenery outside the windows. A guide hosts each dinner table and conversation flows easily as we share family-style meals. Over dishes such as free-range beef tenderloin with roasted tomatoes and truffle fingerling potatoes, with dessert of white chocolate-layered coffee cake, there’s an easy camaraderie among those who came to hike one of Canada’s most photogenic landscapes. The Bugaboos’ summer heli-hiking season is short. Check out World Expeditions for departures from Banff and returning to Calgary. The two heli-hiking lodges are extraordinarily well equipped with boots, waterproof jackets, rain pants, daypacks, walking poles and water bottles, meaning there’s no need to BYO gear from home. Double onboard spending money + $1pp deposit!